As of the writing of this blog post I am truly shocked that February is half over! And I thought JANUARY was a blur! It’s only been a few weeks since the 1/27/17 MCBD celebration and we can promise all of you that we are still recovering….but in a good way. Multicultural Children’s Book Day grows exponentially every year and I truly think the positivity of this event was sorely needed this year more than ever. Again, the MCBD team was touched and elevated by the overwhelming support and enthusiasm surrounding our diverse children’s literature online celebration. In the days following the crescendo of the event (the crazy-fun Twitter Party) we all have spent hours sifting through the amazing thoughts, comments and requests that were offered up during our Twitter Party on 1/27/17 and picked the best-of-the-best share with our valued 2017 Sponsors. 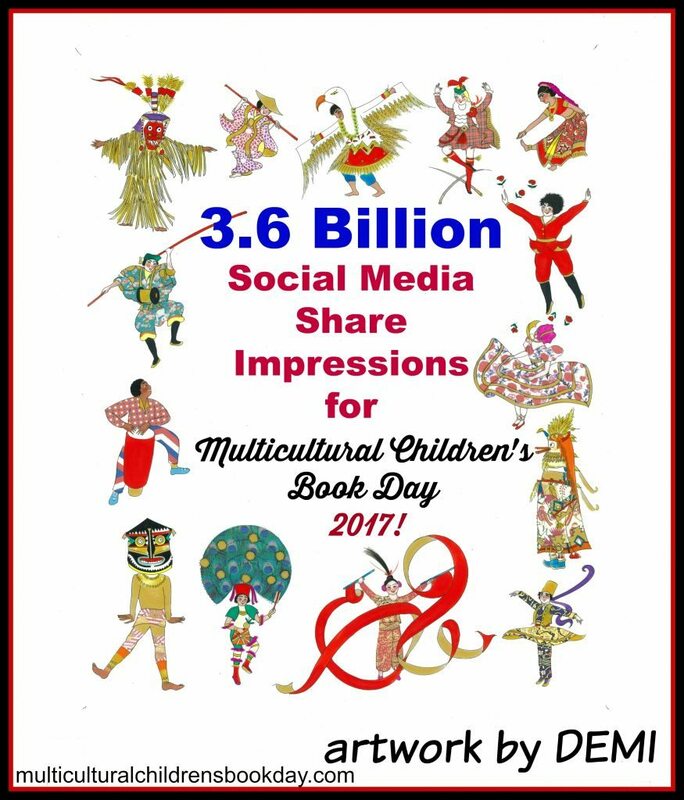 Here is just a sampling of the Special Moments we LOVED from Multicultural Children’s Book Day 2017. Go HERE to view this info-packed blog post and you can also get a larger sample of our Twitter Party Storified HERE. Another notable accomplishment we pulled off during the fast-paced months preceding MCBD is the fact we published an eBook as a fundraiser for ongoing MCBD projects! It is currently for sale on Amazon here. Read Your World: A Guide to Multicultural Children’s Books for Parents and Educators is a “Best Of” list of diversity books lists for children contributed by 20 bloggers and 2 authors. 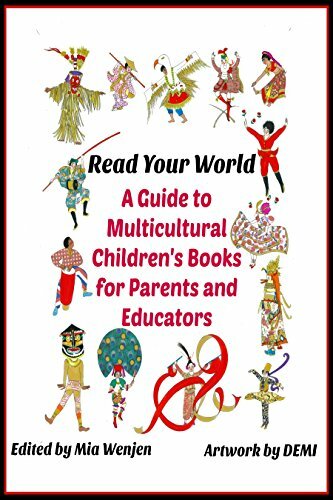 Read Your World: A Guide to Multicultural Children’s Books for Parents and Educators will be priced at $4.99 and 100 percent of proceeds will go towards donating books to teachers for their classroom libraries. In fact, for each book purchased, one book can be donated to a teacher! Read more about the ebook and the booklists it contains HERE. About a bajillion (OK, maybe not that many) women hours were spent patiently tabulating these social media share impressions using an effective (albeit MCBD closely guarded formula) to arrive at these numbers for the 25-27th. We are proud to note that #Readyourworld was trending THREE different times on Twitter on the 27th and Instagram boasted 1300 hashtag mentions during the days leading up to our special event. Want to know what we discovered? Here’s the grand total of social media share impressions from 1/25 to celebration day on 1/27….. Yes, that’s “billion” with a “b!” Read the full MCBD Recap and Thank Yous post HERE. But along with being the Co-found of this amazing event, I am always busy working hard at my “day job” which is being a children’s book publisher and author. I have 33+ years’ experience as a composer and is a two-time NEA Meet the Composer winner. I have 25+ years’ experience as a professor of piano and a piano teacher. I have 15+ years’ experience as a public speaker and presenter. I have 10+ years’ experience as a children’s book author and publisher. I have 10+ years’ experience as a blogger. I have 4+ years’ experience Co-founder of the non-profit Multicultural Children’s Book Day: an initiative that focuses on the importance of diversity in children’s books and getting those books into the hands of young readers, parents, educators and librarians. I have 2+ years’ experience as a Labyrinth leader and designer. One of the many things I do as a children’s book author is promote my love of literacy via author visits. I always welcome the opportunity to utilize SkypeClassroom to share the love and magic of children’s books with kids all over the US. Here is an author visit that I just did for Ms. Haden’s Class with my newest book Dragons Are Real. That being said, I am off to work on my next book, adventure and project (probably in that order). Happy Reading! Previous Post World Read Aloud Day is February 16, 2017! Let’s Celebrate!